These artisan made packs come direct from the source - Ghana, Guatemala, India, Indonesia, and Vietnam. Ethnotek says, "The one thing all of our weavers and artisans have in common is the fact that their craft is disappearing. Every year they see less and less social demand for their fabrics due to low yeield and long lead times. Traditional techniques are quickly being replaced by machines and factories, drastically reducing the amount of jobs and industry in the regions where it is needed most. By creating demand, we are in a sense forging an effort to keep them alive and well and in the same villages from which they came." 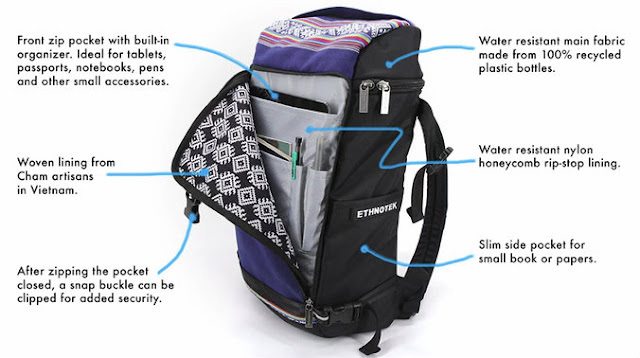 Ethnotek was recently featured on Kickstarter, where they have been able to support their love of design and creating innovative packs, as well as supporting the villages the artisans live with their families. The style of Premji Pack I have is called the "Ghana 25", and retails for $90. 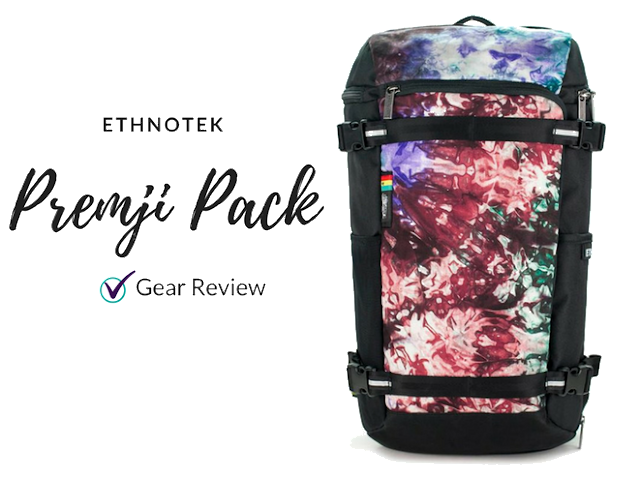 You can only purchase the Premji Packs from the Ethnotek website. The Ghanian tie dye on this style of bag is called Nkabom. This is an Akan word meaning unity, and the uses of multiple colors blended together signifies the celebration and coming-together of cultural differences and biodiversity. Main pack: 11" x 18.9" x 5.5"
I love the back of the pack - it's made of molded high-density foam. The design of the foam is really cool looking! 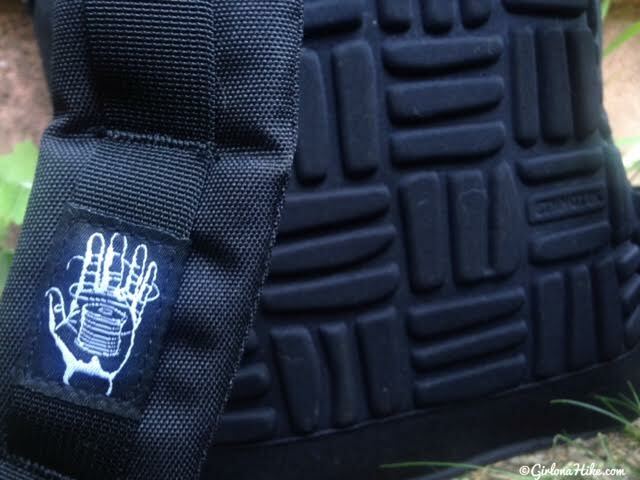 The shoulder straps are contoured to reduce straign on the neck and shoulders as well. There is a top zip compartment for sunglasses, keys, or your phone. I also like to keep a snack bar here for easy access. You access the main compartment through the top zip hood. I feel like these zippers open the wrong way though - you open it back to front. 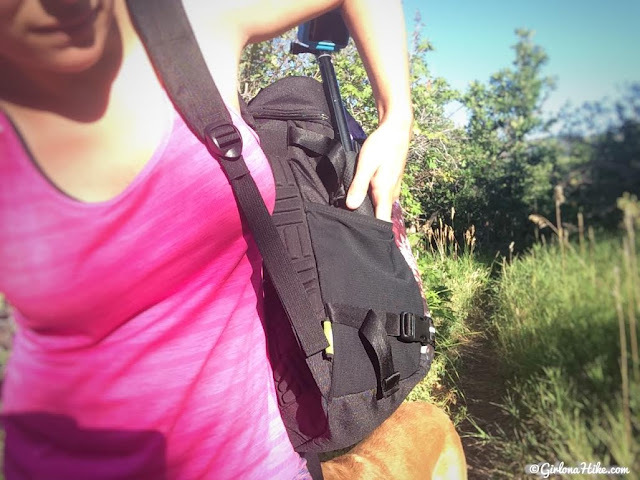 It's just my preference but I prefer it the opposite, front to back, because I usually lay my packs on the backside, not the front, to access my laptop or gear while hiking. 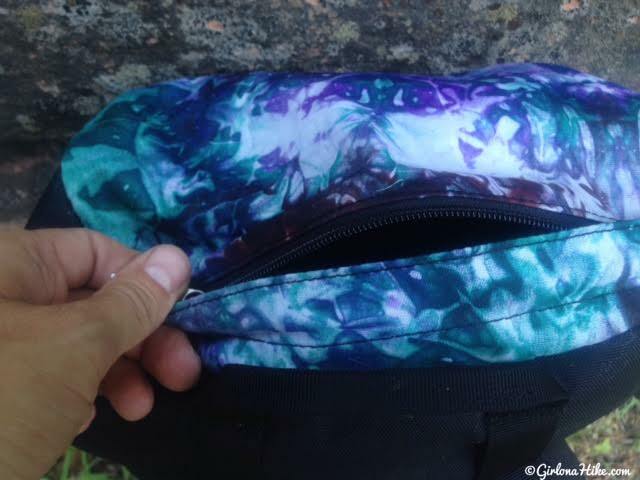 I don't want the front of my pack to get dirty, and by having the zippers open back to front that will happen. It just feels backwards to me. 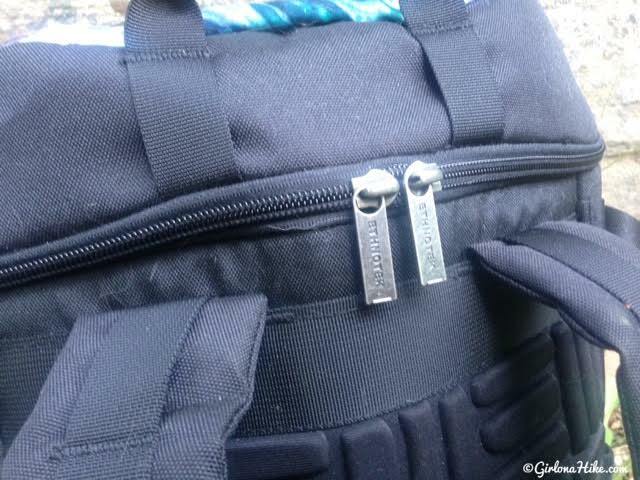 I do love that the sides have double straps for fastening items like my Paria Outdoors Tri-Fold Trekking poles, or you could put a yoga mat or camera tripod there. 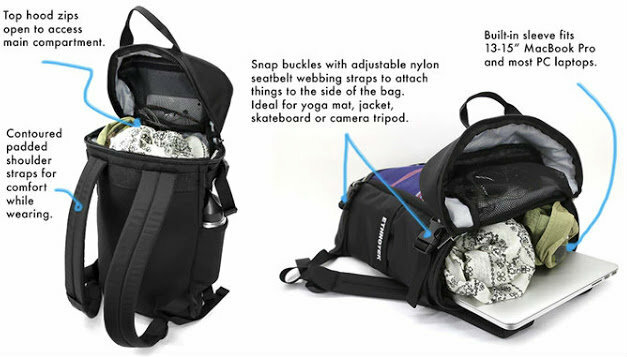 The 20 liter main compartment has plenty of room for a variety of items. When I use this for school I put my laptop in the sleeve, and my jacket or water bottle inside. I've also been able to put both mine and my partners backpacking chairs in here to take to an outdoor concert. 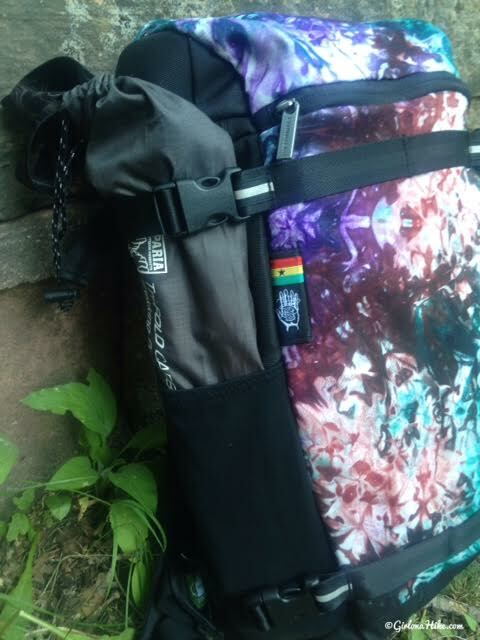 I've been mainly using this pack for school, but I recently took it out on a hike to see how well it would hold up carrying my hiking gear. 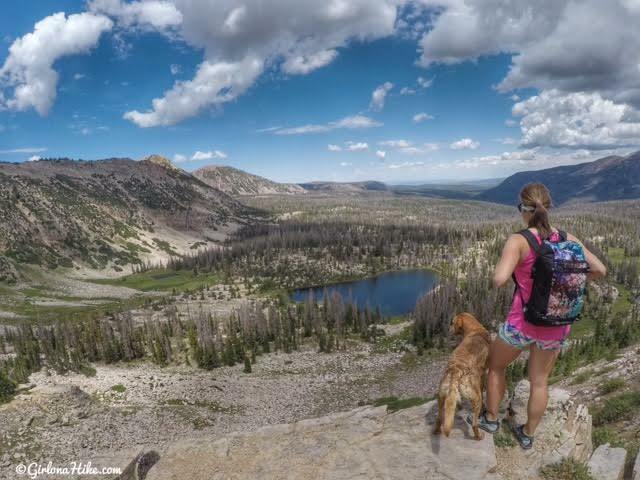 The Premji Pack is perfect for smaller, shorter hikes when you don't need to carry as much as a longer hike. Because there's no hip belt or chest strap, you'll want to keep what you carry light so it doesn't weigh down on your shoulders as much. I actually did get caught in a rainstorm for about 10 minutes, and I was a little worried how the pack would hold up in rain. Thankfully, the material is 100% recycled PET 600-denier water repellent. Note, it's not water proof, but it didn't get ruined by rain. In fact, it held up really well. If you really worried about a downpour, you can purchase a rain cover seperatley. 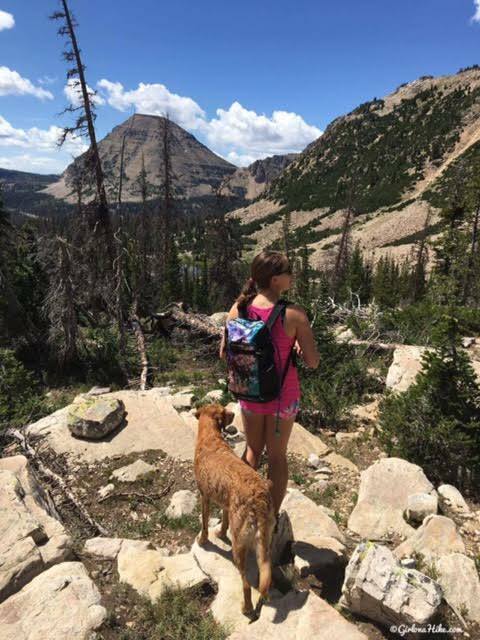 One big con is that if you plan on using this pack to hike with, there's no slip for the camelbak hose at the top like most hiking packs. The hose either has to hang loose, or you can try and stuff it in the side pocket. Another big con - the pockets are too high up! Both sides of the pack have stretch-mesh for small, quick-grab items like my GoPro but it's hard to get those items out since the top of the pocket is located too high up. 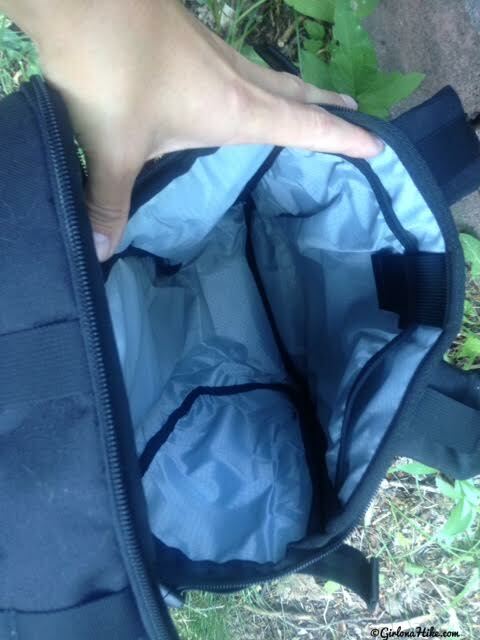 You have to take off your pack to grab stuff out of them. This is one thing they could improve - either lower the top of the pocket, or use the angled pockets like backpacks have for easier access. Here's an awesome breakdown of all the features of the Premji Pack! Overall this is an awesome pack, but I prefer it for my school stuff, not for hiking. 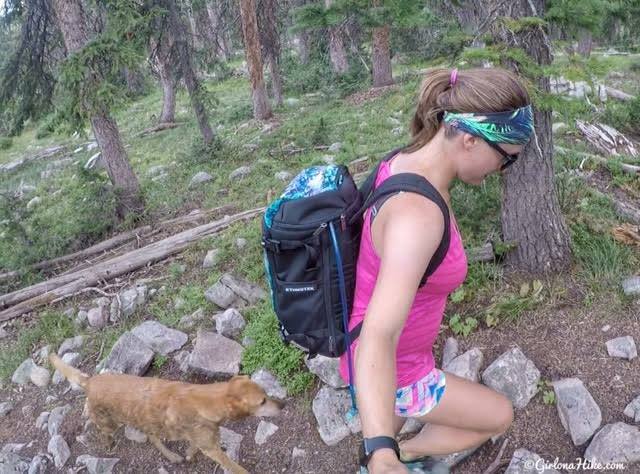 That's not to say you couldn't use it as a hiking pack, it just doesn't have the same features as some. 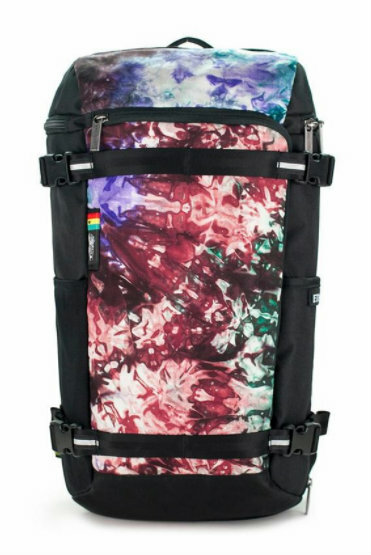 But for school, work, or even the gym this is a great pack. Be sure to check out Ethnotek for all their cool packs! You can follow them on Facebook, Twitter, Instagram, Pinterest! Awesome! I LOVE the design of this pack! Even better in person. Great write up.